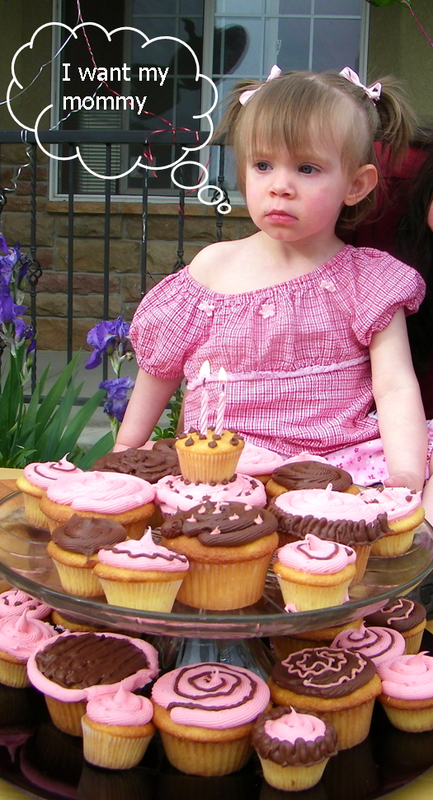 My first-born daughter had her second birthday last spring. I had envisioned certain things and planned ahead, but when it came to the actual day, I found myself way behind schedule. My husband was running late from work, so I did not have the help I had been counting on. My sister arrived on time, saw I was stressed, and promptly went to work helping me set up. By the time everyone else arrived, I was worn out. I was rushing things along, so I could rest later that evening. As the party went on, I noticed my daughter getting quieter and quieter. By the time it came time to gather around the birthday cake, she wanted nothing to do with it. We sang " Happy Birthday", and she did not want any of the cupcakes or treats. She was cranky. That night, I lied in bed and realized that she had gotten lost in the shuffle of her own birthday. She just wanted to play with me, and I was too busy to play with her. I became very sad upon admitting I had not made her the focus of her own celebration. This is much how I think we sometimes run our Christmas celebrations. We recognize the holiday is in honor of Christ's birth and all He does for us and means to us, but then we turn around and throw the party WE want while Christ kind of gets lost in the crowd. All He wants is to spend time with us. How many times have you heard someone say "Ugh, I hate Christmas" or "Christmas is so stressful"? How would you feel if someone said that about you or your birthday? "I hate your birthday. I can't believe it is coming up again!" Surely, you would not say that to your kid about their special day! Jesus calls himself our Friend. He does not want us to stress out or go into debt for his birthday or resent his birthday. Like a good friend, He want us to be happy, enjoy good company, and have a good time on His special day. 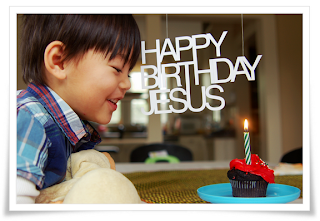 What would Christmas look like if we treated Him as the guest of honor? What would you give for Christ? The night I lied in bed regretting missing out on my daughter on her own birthday, I vowed to never let my children get lost in the planning or execution of their special days. The next day, my daughter and I went outside and drew with sidewalk chalk. It was exactly what she wanted. 5. Charitable giving- look through your house for unopened items or things in good condition. Leave groceries for a neighbor. Sing carols at a nursing home or hospital ward. Shovel snow for a new mom, older neighbor, or busy single guy. 6. Holiday party- call people over to get together to watch classic Christmas movies, make holiday cards, or just chat over hot cocoa. Or combine this idea with #5: have everyone bring a few food items or token gifts, put them in one box and leave it at the door of someone else in need.